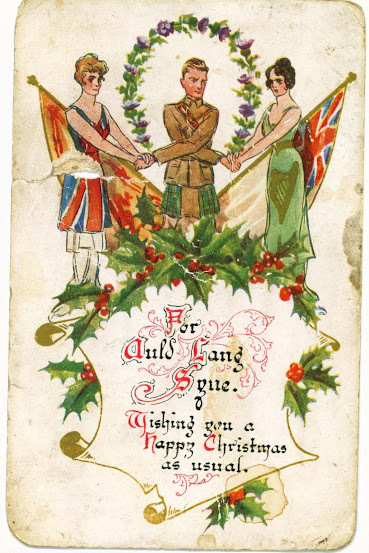 As we commemorate the centenary of the start of WWI, here is the Christmas card, sent 100 years ago from my Gt. Grandfather John to his daughter, my Granny, Mary. 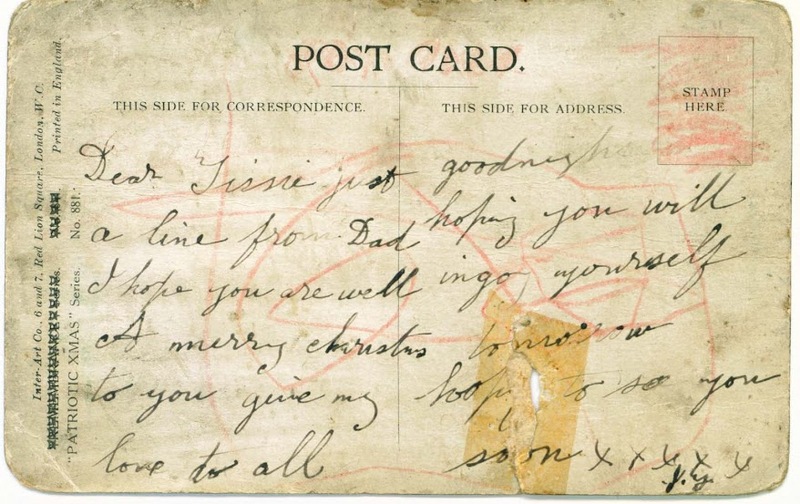 "Dear Tissie, Just a line from Dad. I hope you are well. A merry Christmas to you. Give my love to all. Goodnight, hoping you will enjoy yourself tomorrow. Hoping to see you soon. xxxxx J.F." 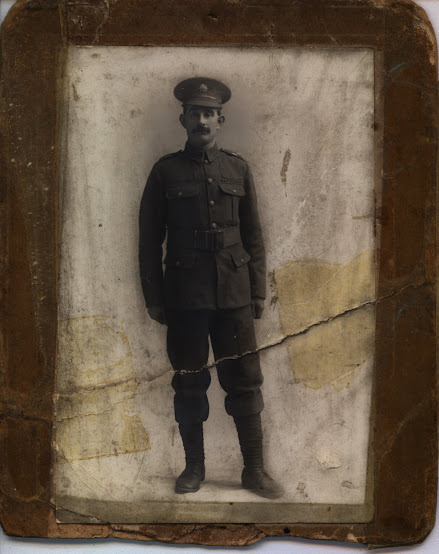 John was killed at Ypres in April 1915. Happy new year Ellen. Thanks for reading, and thanks for your comments - a few of them ended up in wrong place, but I found and retrieved them! Govan is in another period of transition, not always good. But we've been there before, haven't we? Happy New Year Lady Govan! I've been commenting using my tablet in the past but then the comments disappeared - goodness knows where! I gave up with the tablet! What was your great grandfather's surname? Loved reading this. I think as we get older, these souvenirs of the past become even more precious.